Teaching and training are not the same things. Nevertheless, usually karate seminars are indiscriminately addressed to both practitioners and instructors. Nothing’s wrong with them, let’s make it clear. Mixing up people with different skills and roles gives them the chance to compare each other and share certainties and doubts, favoring a faster growth in those who are usually students and a greater awareness of who usually teaches. But just let’s think of a seminar devoted solely to the instructors, a class designed by a specialist to be addressed to specialists, from a coach to coaches who share the task of teaching karate and transmit their knowledge and experience. Wouldn’t it be desirable? Wouldn’t it be useful? Roberto Danubio sensei, 7th dan JKF Wadokai, must have thought it would be both. Therefore, he designed a three-days training tailor-made for karate teachers. And after attending it I can assure you he was absolutely right. The Danubio’s International Wado-Kai Karate Seminar for Instructors was held in Dublin from September 29 to October 1, and it has been a wonderful weekend of karate, friendship and conviviality. But let’s start from the beginning. I landed in Dublin on Friday 29, together with six other friends and colleagues of mine from WKSI – Wadokai Karatedo Shin-Gi-Tai Italia, the Italian branch of the Japan Karate-do Federation Wado-Kai, and we immediately found out that the hotel we had been accommodated was simply magnificent: an immense and picturesque Country Club in the vivid-green Irish countryside, twenty minutes from the centre of Dublin. Wow. It was also nice to find out that all the other participants were accommodated in the same hotel. We already knew some of them, but it was great to get acquainted with so many new karate friends from all over Europe. Anyway, we just had the time to bring our suitcases to the rooms and wear our dogis before the seminar began. Our host was Jimmy Harte, JKF Wadokai karate instructor and person of rare attention and kindness. On the tatami mat there was instructors from Austria, Belgium, England, Finland, Italy, Sweden, Switzerland and, obviously, Ireland. If it depended on karate, Europe would be united without the need for treaties and currencies. Maybe the entire world would. As usual, the Roberto Danubio’s trainings are someway rough but pristine, strenuous but energizing. And as usual he started from the very basic: the kihon. It seems that in the Danubio’s idea of karate, kihon exercises are far to be seen as beginners’ stuff. A good translation for kihon may be “fundamental”, but in the West it is often translated with the quite misleading words “basic” and “elementary”. Some might think that, since they are elementary things, then they’re good for beginners but not worthy of interest for a senior black belt. Mr. Danubio clearly said us that this way of thinking is wrong, full stop. “Kihon are the foundation of one’s karate building”, he said. “If they’re good and strong, the building will be steady, stable and high. Otherwise, it will collapse under its own weight, sooner or later”. This is not a karate prerogative, anyway: also the professional NBA players practice dribbling, passing, free throws and jump shots during every training session to maintain and develop the more complex skills needed for a basketball game. Therefore, we spent a pretty lot of time training sonoba tsuki, sonoba uke and sonoba keri, focusing on hikite, hikiashi, hips rotation, knees flexion, retroflexion of the pelvis and balance. And it was great. It’s been amazing for me to realize how many things that I’ve taken for granted are not at all. Following the same idea, Danubio sensei insisted a lot on the Wado-Kai Ido Kihon (junzuki, gyakuzuki, kette junzuki, kette gyakuzuki, junzuki no tsukkomi, gyakuzuki no tsukkomi, kette junzuki no tsukkomi, kette gyakuzuky no tsukkomi, tobikomi tsuki, nagashi tsuki) and Pinan Katas. Obviously, during the three days we also practiced upper katas, but the main focus remained on kihon and Pinans. I’m going to spend some words about this attitude. Many of the black belts I know are constantly looking for new techniques to learn and are generally only interested in the practice of the upper katas. I’m not criticizing this attitude and I don’t mean that they’re wrong: it is right for anyone to act as he likes. But let’s think what the task of a karate master is, and what are the things he has to teach his students just to let them become solid karatekas. Let’s think of the quality of the karate building of his students. And inevitably we’ll have to admit that a seminar for instructors should focus mainly on the fundamentals. But by designing this seminar Danubio sensei did not limit himself to that. He has set it as an opportunity for sharing and comparing each other, actively involving all the participating instructors in the workshop. All of us, in turn, have been called up to express our own point of view on a technique, an explanation, an interpretation and so on. And this made the seminar even more engaging and interesting. “If you’ve been practicing karate for twenty or maybe thirty years and you are not a karate master, well, maybe something is wrong with your karate”, said us Danubio during a little break. “Having students is important, because is our opportunity to give back what we’ve received from our masters. It is our opportunity to contribute to the tradition. Listen: tradition doesn’t mean you must be the copy of your masters: tradition is walking on the path, but also going further on the path. This is our job. And let’s do it through practice and facts, not just words. This is the way the Budo works”. When I finally took off, at the end of the third day, I was loaded with a lot of new stuff (fortunately nothing that needed a further suitcase). I have brought home new awareness, new skills, new details, new interpretations, new applications, new exercises. But above all, new desire. Desire to go back to study, to go back to practice, to go back to Budo. To go back to my students and share all these wonderful things with them. 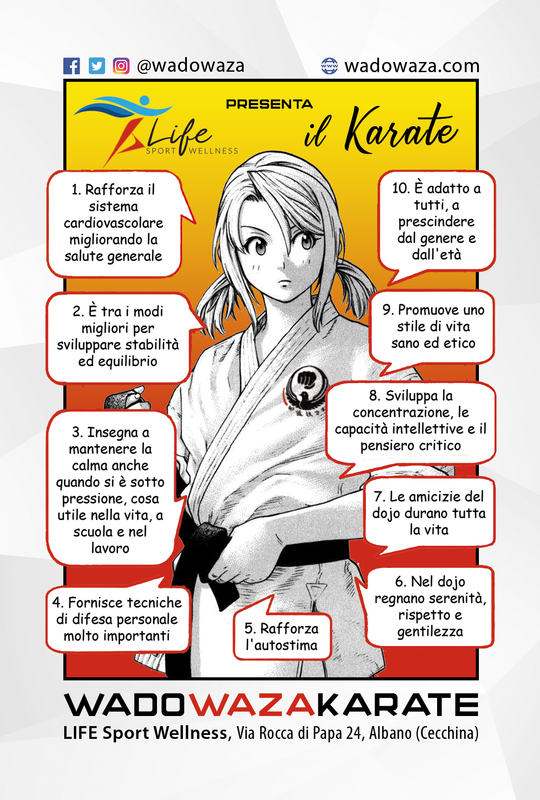 Thank you, Roberto Danubio sensei. Very good job, as usual. See you soon at the next seminar.